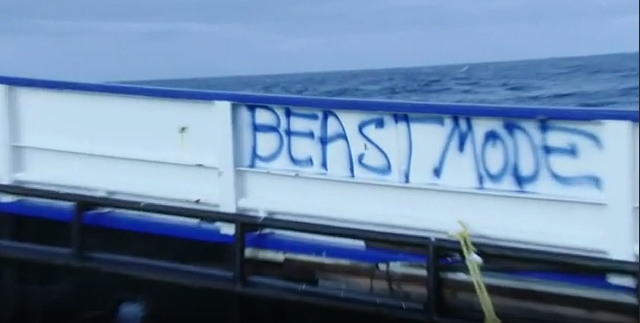 Discovery’s Deadliest Catch was a case study in Captain’s motivational techniques with their respective crews during Tuesday’s all-new episode. Funny thing is, no work was involvedl! It all came down to a Football Game, and a few Captains putting the morale of their hardworking deck hands above financial gain on the Bering Sea. 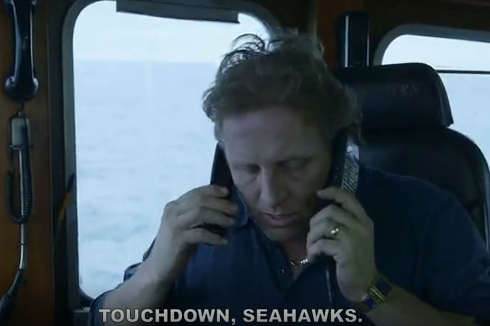 It’s no big secret that 99% of the crabbers featured on Deadliest Catch are DIEHARD Seattle Seahawks fans. You can imagine how exciting it was for their team to make the Superbowl, and how upset they were to learn they wouldn’t be home in Dutch Harbor to see it. The crusty sailors from the fleet were moping when no cable/TV Signals could be found. Morale was at an all-time low. Jake Harris may not be the best Captain or leader yet, but he does understand intimately what a deck hand feels like. You can imagine the crew of the Cornelia Marie screaming with joy when Jake announces he has arranged a live-feed showing of Super Bowl XLIX: New England Patriots vs. Seattle Seahawks for his crew costing him $5,000! The amount of dedication and loyalty he will receive for this act of kindness will turn his boat’s success rate up 1000% Great move Captain Josh! Josh Harris then invites Captain Keith Colburn’s crew from The Wizard to the Cornelia’s Superbowl party. Keith eagerly accepts, regardless that getting to the other boat’s deck might be difficult in rocky seas. The Wizard has a hidden weapon it unveiled tonight to use for unexpected short journeys like a party on the Bering Sea. “The Lil’ Wiz” launches! Wizard relief Captain Monty Colburn didn’t think it a wise move to risk lives/accidents just to go watch a game, but Keith gave it a go anyway. (Told you they were dedicated Seahawks fans!) 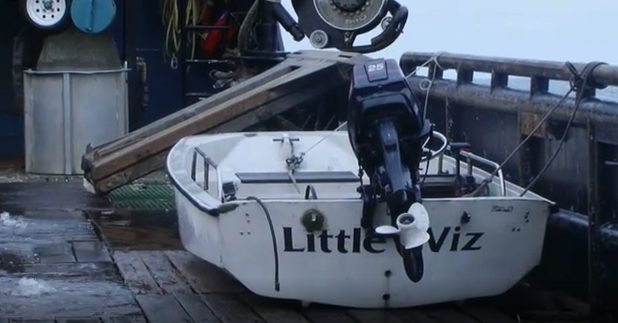 The Little Wiz was a champ braving 5-10 foot swellls between the two crab boats. The food was epic, the beer was cold, and the game was amazing…….until the last play. Cameras panned to each crew showing men weeping, cussing, enraged, and a few closeted Patriot deckhands secretly cheering. 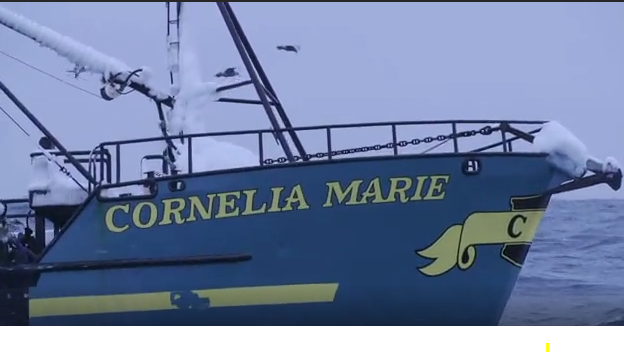 News about the game was spread from the Cornelia Marie’s galley to the Northwestern, then the Time Bandit, and out to the Saga. It’s the Bering Sea news network! Captain Wild Bill wasn’t part of the football celebration. He was grinding his men as usual with nothing kind to say. He revels in pointing out crew errors and being “Dicky Downer”, instead of encouraging people to do better and celebrating their successes (Or watching the Superbowl as a crew to show appreciation..hint hint). Even Zack looks like he’s ready for a new father. 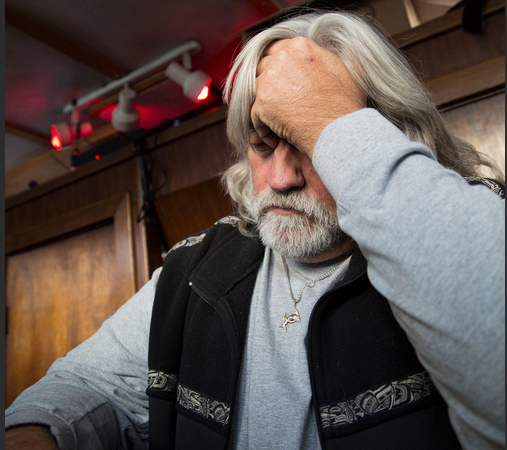 Last week Bill fell asleep at the wheel (literally) and this week his lack of attention to his official quota paperwork resulted in a HUGE financial loss for the entire crew. Per usual Bill tries to blame it on a clerical mistake because he’s perfect, but there is no one else at fault here Captain. You reap what you sew on the Bering Sea. 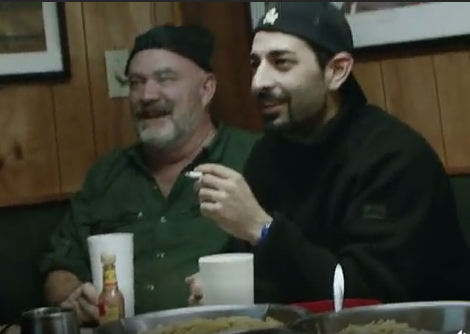 Can’t wait to see you in the hot seat again on The Bait. Better luck next season Cape Caution.